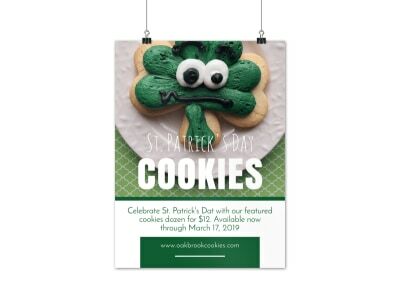 Customize our Saint Patrick's Day Irish Luck Poster Template and more! 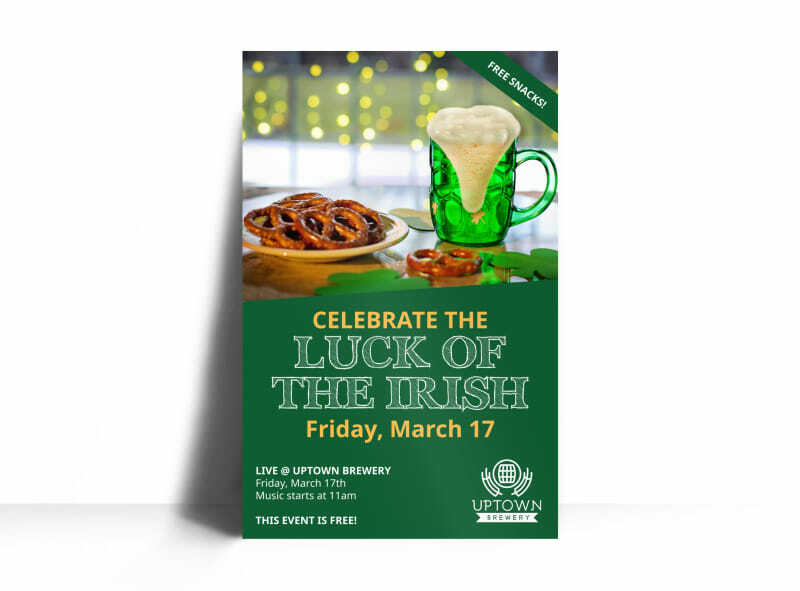 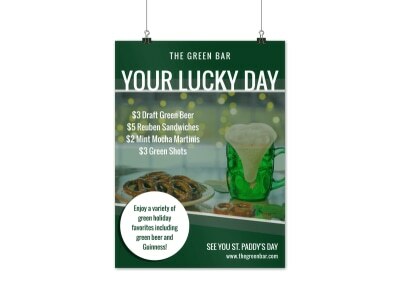 Provide details about your St Patrick's Day sale with this customizable poster that lets you add your own special details from top to bottom. 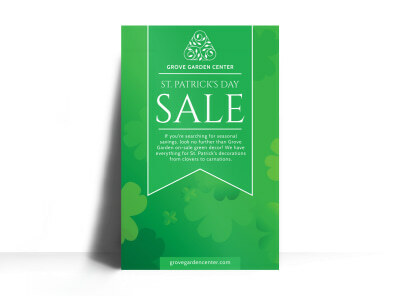 Personalize by choosing from various color themes and fonts and adding images or graphics of your own! 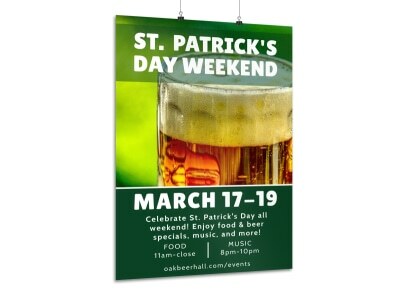 Print from where you are for faster access to your posters or let us print for you!